Nathan MacKinnon scored 2:29 into overtime, and the Colorado Avalanche rallied to beat the Detroit Red Wings 4-3 on Tuesday night in Denver. Mikko Rantanen had a goal and two assists, Tyson Barrie had a goal and an assist, and J.T. Compher also scored for the Avalanche. Colorado gained a point on the Wild and now trails Minnesota by just two points in the chase for the second Western Conference wild-card spot. 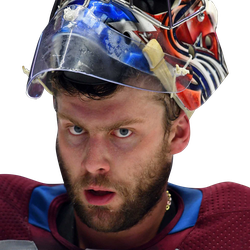 Semyon Varlamov stopped 20 shots for the Avalanche. MacKinnon, who also had an assist, got the winner when he skated in, took a pass from Rantanen and beat Jonathan Bernier for his 34th goal of the season. Niklas Kronwall, Danny DeKeyser and Filip Zadina scored for the Red Wings, who have gone 0-5-3 over their past eight games. Bernier made 30 saves. The game was the first for Detroit since the passing of former great Ted Lindsay on Monday. There was a moment of silence before Tuesday's game in honor of Lindsay. The Red Wings nearly won it in regulation when Zadina's power-play goal -- and the first goal of his career -- gave Detroit a 3-2 lead at 17:43 of the third period. Colorado pulled Varlamov for an extra skater, and Barrie tied it with a slap shot from the point at 18:25. The game was tied 1-1 after two, and Detroit got the go-ahead goal at 2:22 of the third period. With Colorado on a line change, the puck went into the Avalanche end. Justin Abdelkader got the puck to Jacob de la Rose, who fed DeKeyser coming down the right side, and he scored before Varlamov could recover. It was DeKeyser's fourth of the season. Rantanen tied it on the power play at 8:30 when he backhanded Barrie's rebound past Bernier. It was Rantanen's 29th of the season. 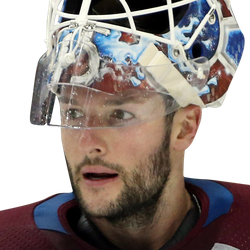 Detroit took a 1-0 lead when Kronwall's shot from the point deflected off Avalanche forward Sheldon Dries and through Varlamov's pad at 16:47 of the first period. It was Kronwall's third of the season and first since Dec. 20. Colorado answered when Compher's shot beat Bernier over his left shoulder at 1:44 of the second period. It was his 15th of the season.